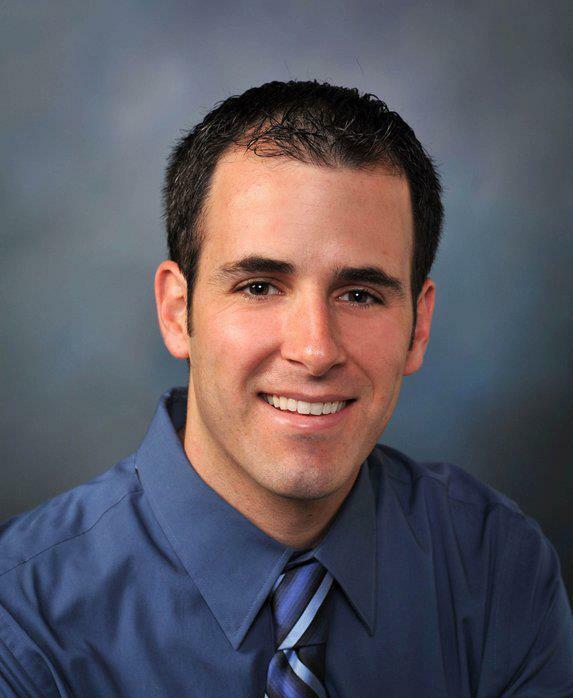 Montgomery Village President Matt Brolley is hoping to take his local political experience to the state level, and announced Thursday, June 29 that he will run as a Democratic candidate for Congress in Illinois’ 14th District. That seat is currently held by Republican Randy Hultgren. An engineer by trade, Brolley, 35, said his “rational, level-headed” approach to politics is what Washington needs right now. Brolley, who lives in Montgomery with his wife and two children, said his goal is to be a voice for the middle class — a voice that’s lacking under Hultgren’s tenure in Congress, he said. Hultgren is one of several Illinois Republican lawmakers who has come under fire from voters at different times this year for either not holding or not showing up to town hall meetings. 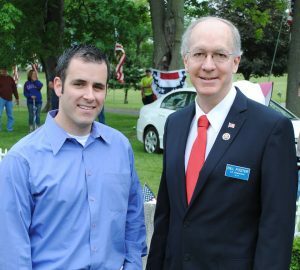 Still, Brolley acknowledged that the 14th District is typically a Republican base, but that’s not standing in his way as a Democratic candidate. “I know this was drawn to be a Republican district, but that was 10 years ago. The district is changing, a lot like the country is,” Brolley said. He said he’s had a lot of support since announcing his candidacy and that he believes people are excited to have a “solid challenger against Hultgren”. 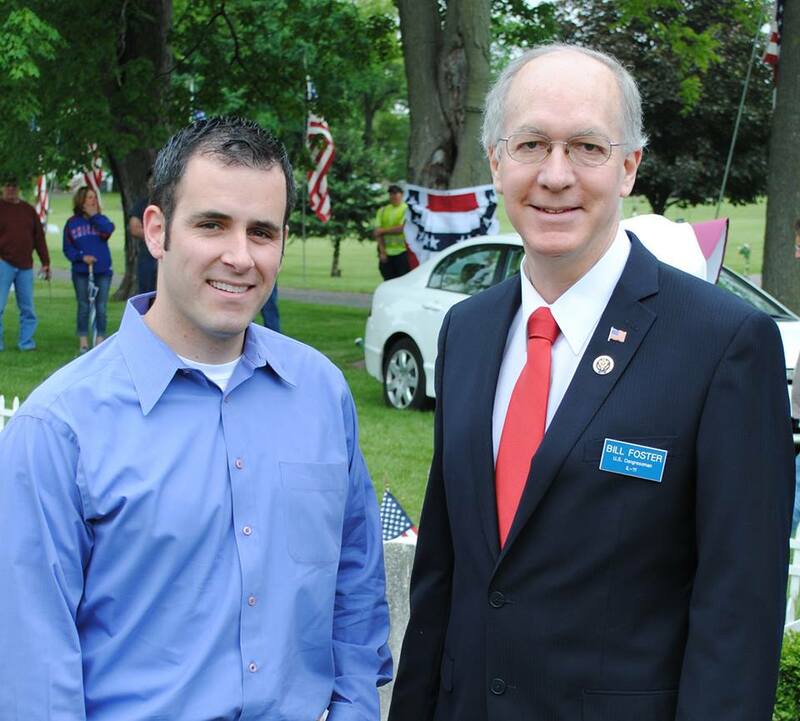 Brolley has already received the endorsement of Congressman Bill Foster, the only Ph.D. scientist in Congress. Those issues, Brolley said, include things like healthcare, infrastructure and finding jobs for the middle class. Brolley said he wasn’t planning to run for Congress, much like he wasn’t vying for the position as village president of Montgomery when the opportunity presented itself. In 2013, after seeing “too much extremism and not enough common sense” in his hometown, Brolley decided to run. He was re-elected earlier this year and is now serving his second term.